Qualitek-4 Version 15.6+ with experiment planning guide and more. Latest release (Windows Xp, VISTA, and Win7, 32Bit & 64Bits). 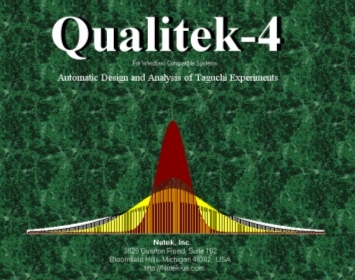 Qualitek-4 (QT4) is a Windows based software for Automatic Design and Analysis of the Taguchi Experiments. Experimenters use QT4 to help you with (1) experiment planning, (2) experiment design, and (3) analysis of results. Qualitek-4 DEMO - This Full Featured Working Model (DEMO) is our standard Windows 32 Bits version. You will have LIMITED TIME to evaluate this working DEMO. 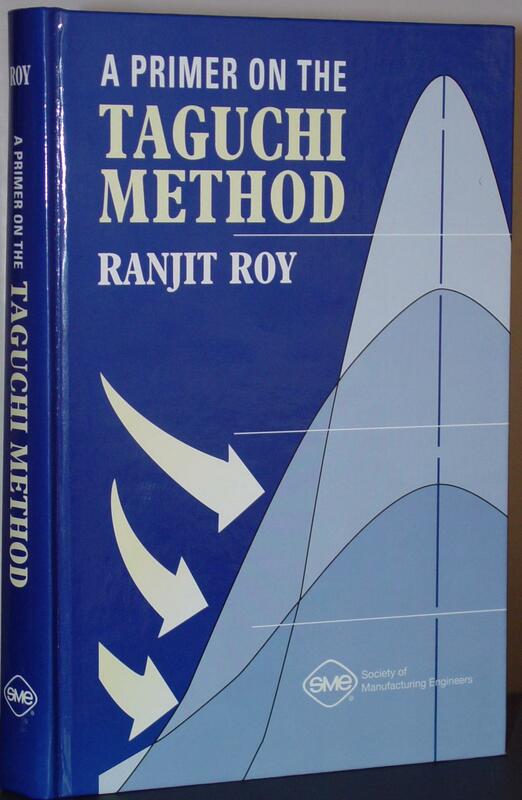 The DEMO version contains all examples experiments described in the textbooks by R. Roy. The DEMO lets you review over 140 example experiments of all sizes. It also allows you to design and analyze your own experiments which utilizes L-8 array. -Run C:\NUTEK\QT4-Setup.EXE to install Qualitek-4 program. 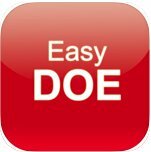 When prompted for registration number, enter "Demo"
Easy-DOE: Look for this app for iPad in the iTune App Store. 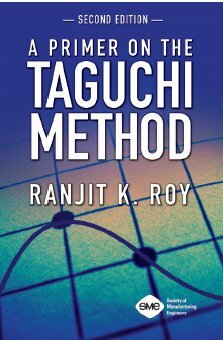 This app allows you to carry out experiments to study 4, 5 or 6 two-level factors. 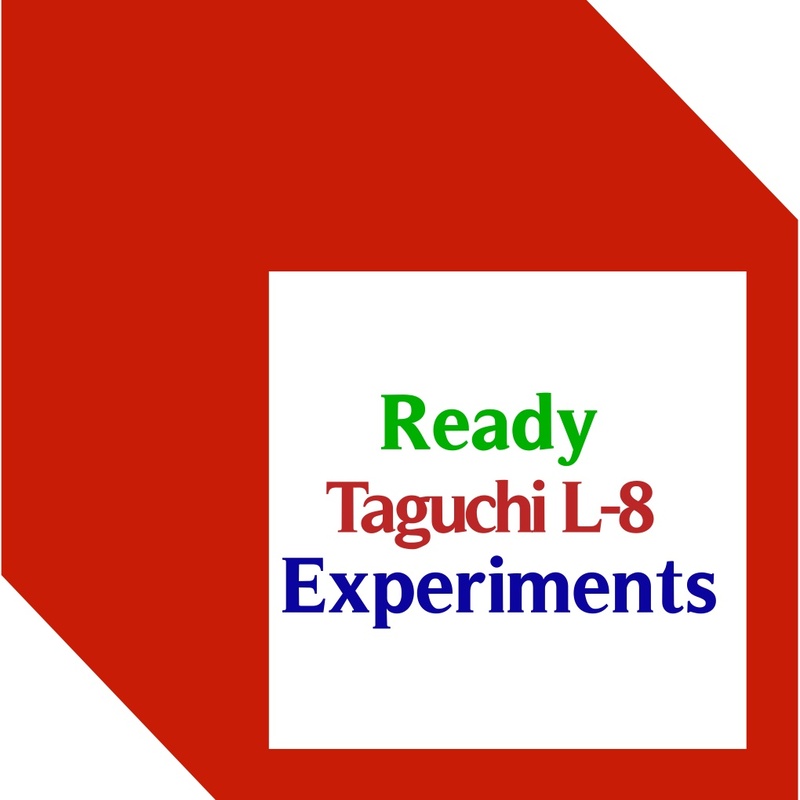 Once the factors and their levels are described, Easy-DOE lays out your experiments using the Taguchi L-8 orthogonal array. Following completion of the experiments, with results entered, it instantly analyzes the data to produce the optimum condition and the factor influences. Find these books in open market or purchase directly from the publisher.